Mobile virtual network operator (MVNO) Virgin Mobile, which wants to have a million active customers on its books within three years, has launched a promotion it hopes will fire up consumer enthusiasm about its products. The company has launched a limited promotion, offering free on-net calls to all its customers. The new tiered promotion offers up to a thousand minutes of free on-network calls, or calls between Virgin Mobile customers. And the three-month promotion could be extended if it’s successful. This move comes as the company downplays suggestions that it has fallen on hard times in what has become a very competitive mobile market. In 2011, Cell C sold its 50% stake in the business. Richard Branson’s Virgin Group later sold a portion of its shares to Dubai-based telecommunications company, the Friendi Group. The two companies signed a “strategic partnership agreement” and merged their regional telecoms operations to create a combined entity called Virgin Mobile Middle East & Africa. 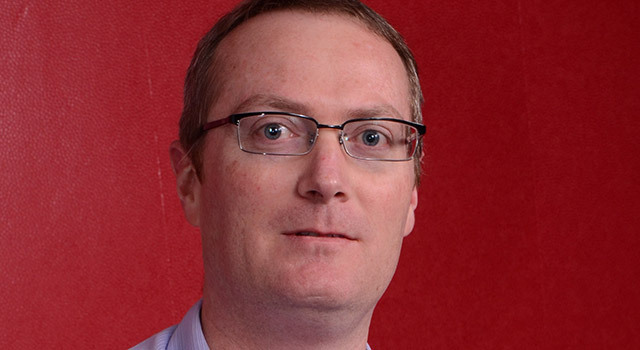 “The industry trend is going towards free voice calls in the future and we are preempting the market by giving our customers what they are looking for right now,” Virgin Mobile South Africa CEO Anton Landman tells TechCentral. He says voice calls are still important to its customers. Landman says the promotion “may potentially” be extended beyond the three-month promotion period, depending on its popularity. The free Virgin-to-Virgin minutes subscribers receive depend on the value of the monthly contract or prepaid recharge voucher they load. Contract customers paying up to R499/month receive free minutes up to the value of their monthly subscription. Customers paying more than R499/month for their subscription will get a flat value of a thousand free on-net minutes. For prepaid users, the company offers the face value on recharge vouchers for free on-net call minutes. In September, Landman told TechCentral that the company had its sights set on a million customers over the next three years and it will use this promotion as one of the platforms to achieve that goal. “In a cluttered market, where mobile operators fight for every inch of competitive advantage and the market is flooded with a myriad complex offerings, there is little room for more of the same,” says Landman. He says Virgin Mobile is creating its own space in the industry with offerings that cannot easily be replicated. Whats he talkin bout? has to be lost in left field? I have free over the net and free calls to any users in any country of the same app. This has been standard for years come on, we not that stupid really! Misleading headline to get a few more clicks. honestly disappointed. For the same R500 on CellC you get Unlimited CellC to CellC minutes, 1GB data and 1000 SMS (not sure what those are used for anymore but they are there anyway, just in case). Telkom Mobile has something similar as well. Tell me again, Virgin, what exactly are you trying to sell to me?